Preheat oven to 400°F. 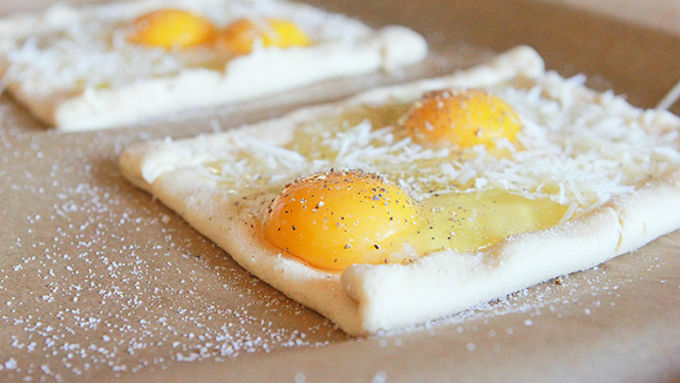 Open and unroll the crescents onto a parchment-lined baking sheet. 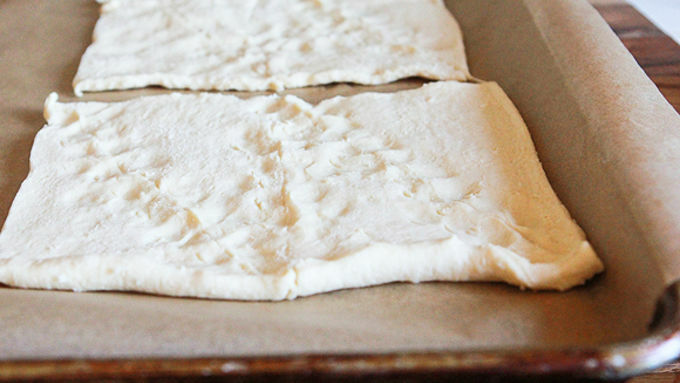 Split each sheet of dough right down the middle, so you have a total of 4 large squares of dough. Pinch perforations together in each square to seal dough seams. Fold up the edges of the dough (about 1/2 inch of the edge around each square). 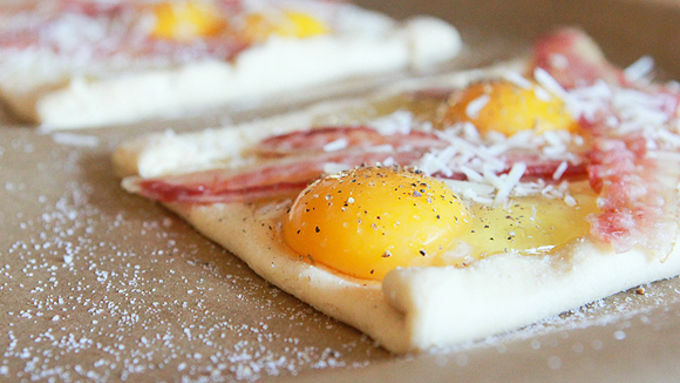 Crack two eggs into the center of each dough square. Sprinkle with a bit of Parmesan and a smidgen of salt and pepper. 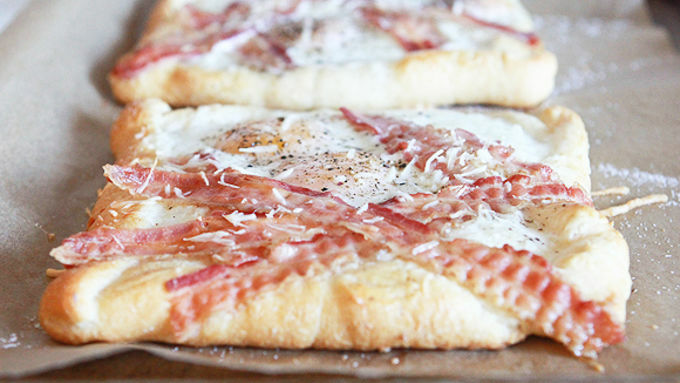 Place three slices of bacon across the eggs on each square. Sprinkle with remaining Parmesan cheese, and additional salt and pepper if desired. Bake in oven for 10-12 minutes, until the edges of the dough are golden brown and the eggs are cooked to your preference. Garnish with basil just before serving, and enjoy! 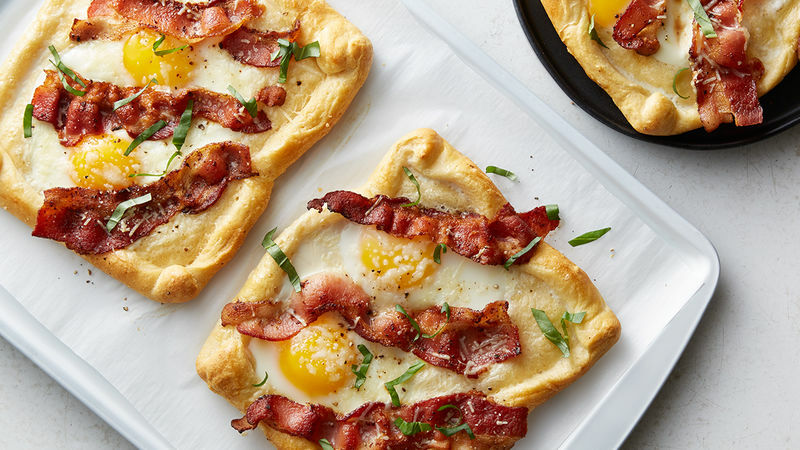 wo eggs and slices of bacon baked to perfection on a flaky crescent square. Need we say more? 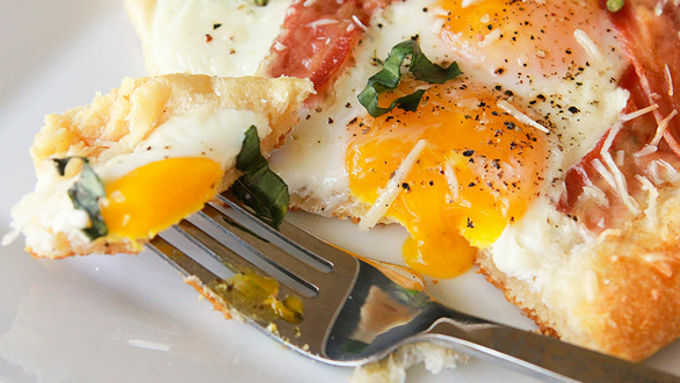 Break the breakfast blues with this awesomely fun and deliciously simple recipe!